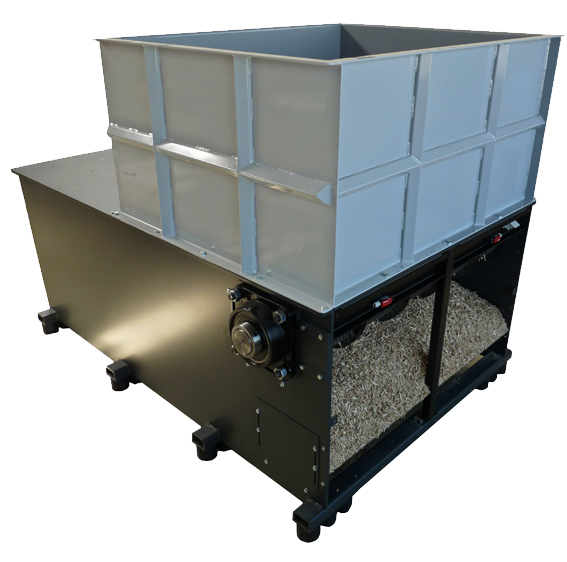 mütek shredders are designed to shred all kinds of waste material, including hard and soft woods, chipboards, OSB and plywood panels, as well as construction timbers. Paper, cardboards, and other materials (no tyres) can also be processed, but only with permission of the manufacturer. 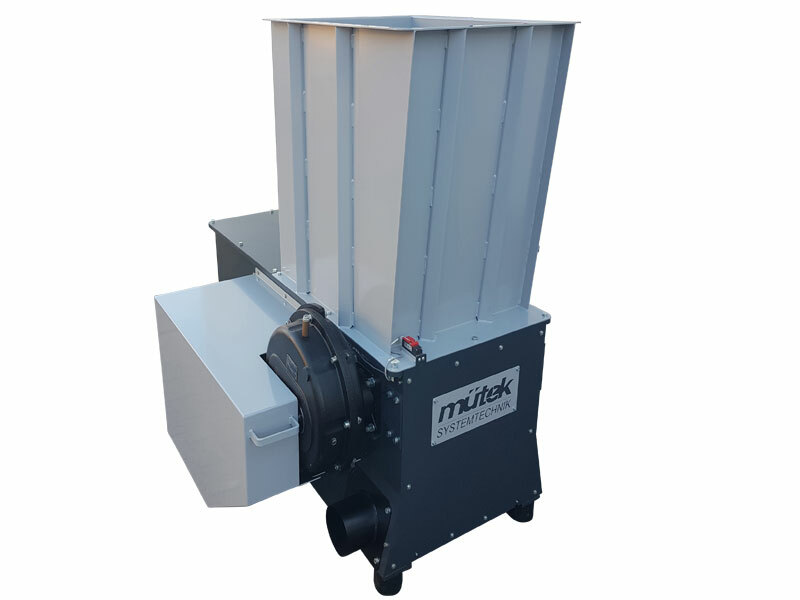 The sturdy steel construction of the mütek grinders guarantees constant quality in continuous operation. 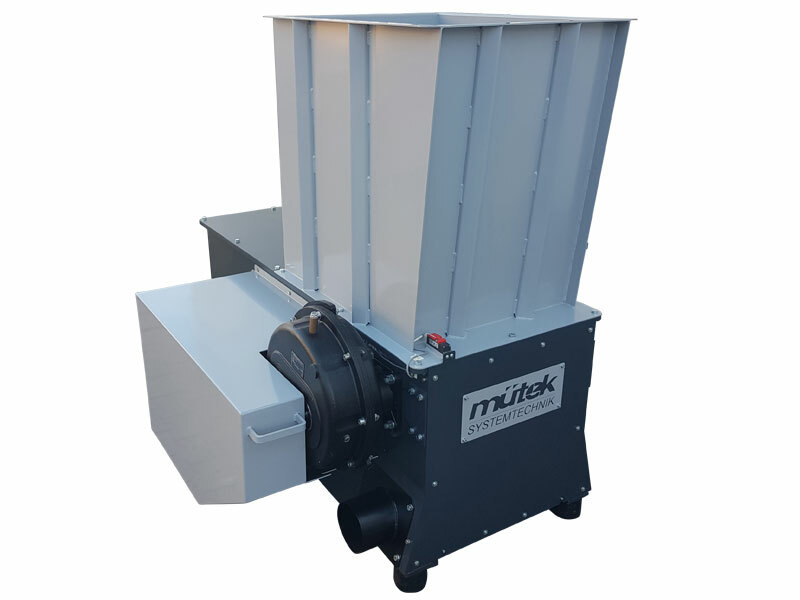 mütek MRZ grinders are fitted with a slowly rotating profiled solid steel rotor (Ø 260 or 360mm) which is mounted on the sturdy machine base. The knives are available in various designs for all kinds of material. The knives feature a low wear and can rotate several times before they have to be replaced. 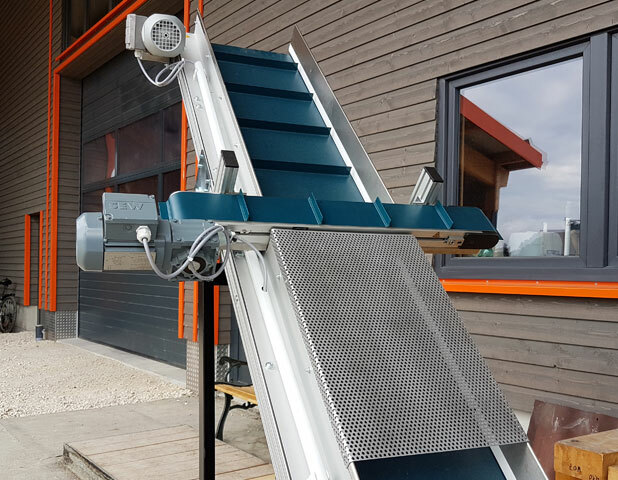 The screen is made of a heavy welded construction. The screen size defines the size of the chips. Screens with different hole sizes for all kinds of material are available. 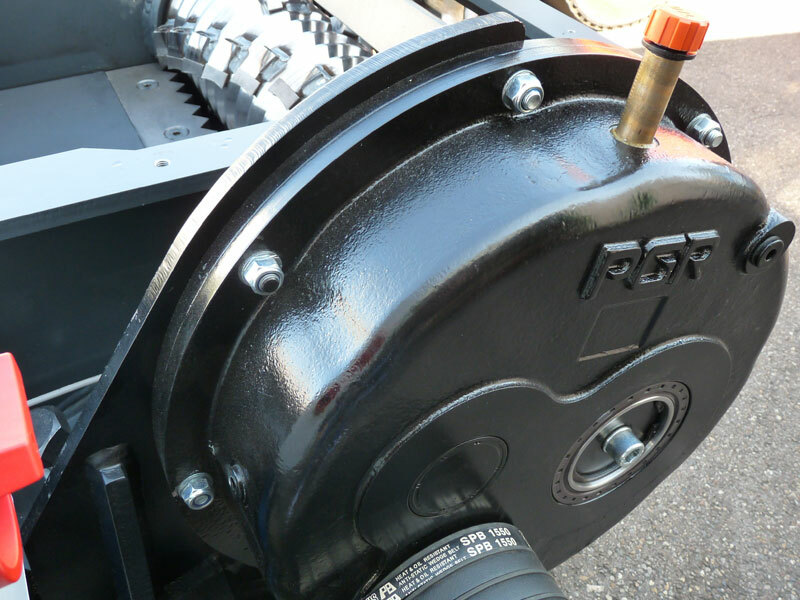 The rotor is driven by a V-belt drive and a spur gear with torque support. The feeding works either automatically or manually. 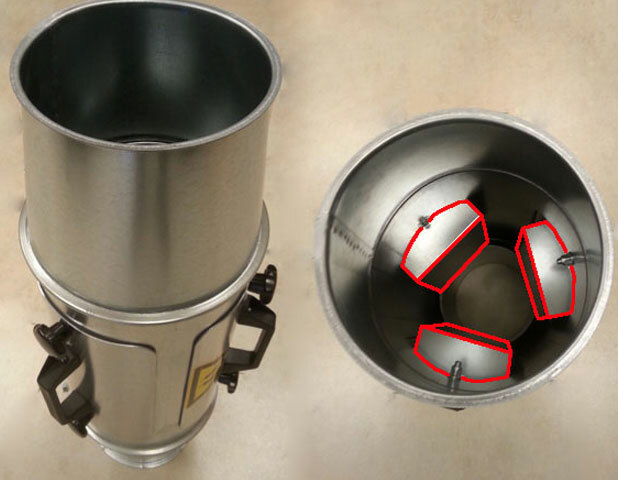 The material to be shredded is filled into the hopper. The Siemens PLC determines the optimal feeding rate depending on the power input of the main engine. Thereby the highest possible throughput can be realised. 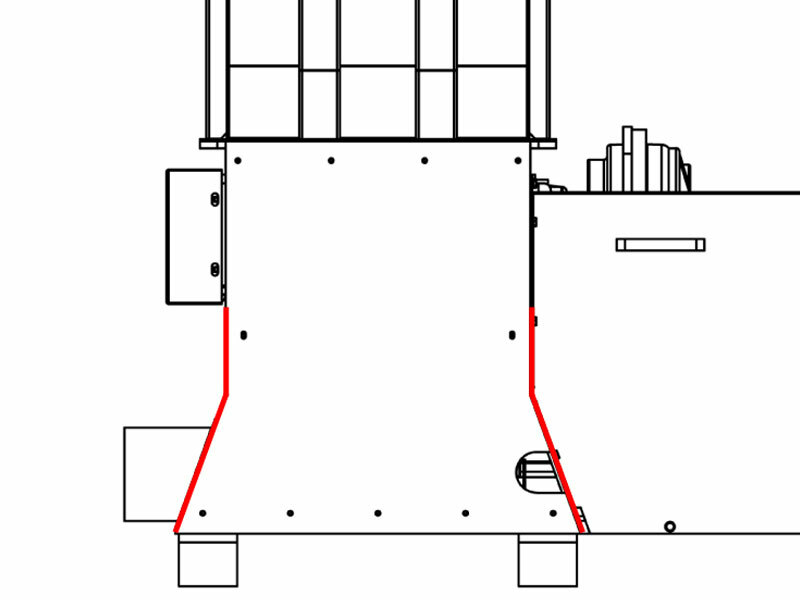 After reaching the front position the hydraulic slider drives back with fast hydraulic into starting position and the cycle restarts. 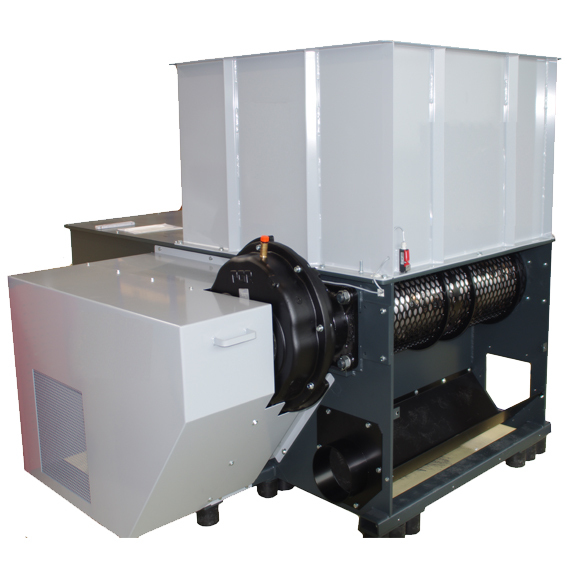 The shredding occurs in-between the rotor and the fixed counter-knife. 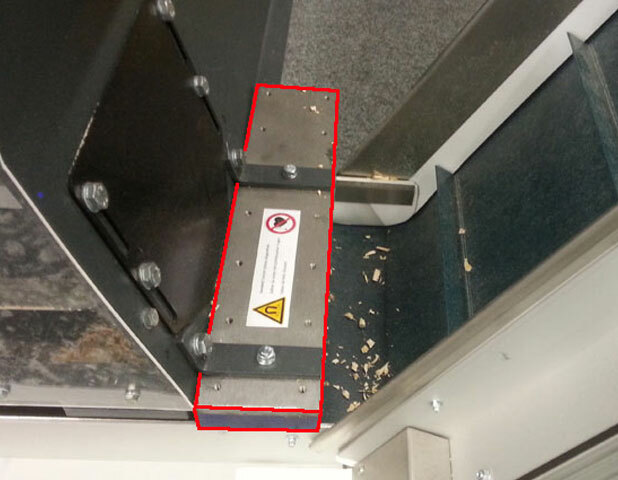 The slider can be fitted with wipers in order to prevent material from entering into drawer and machine housing. 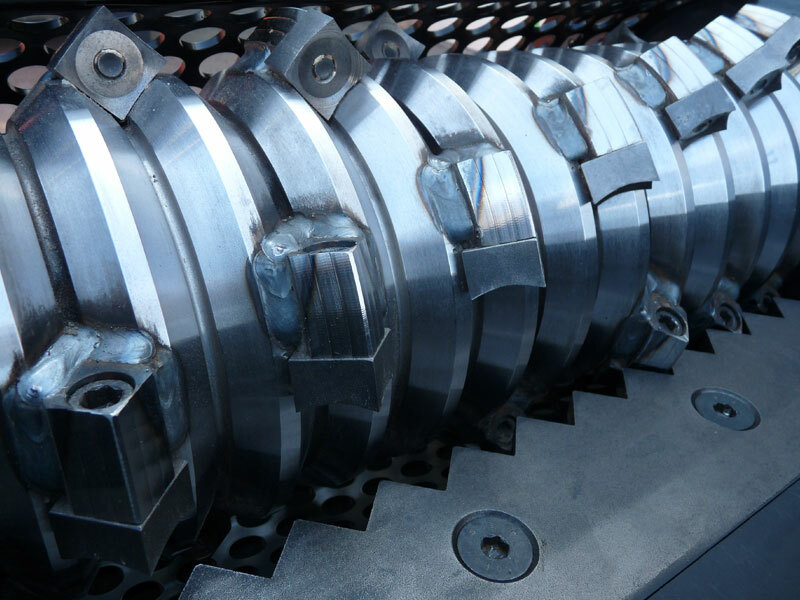 The chips can be delivered out of the machine by means of suction, conveyor belt or conveyor screw. 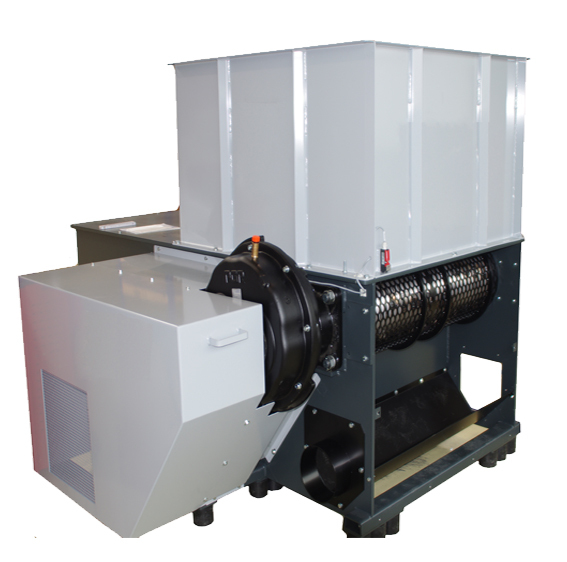 Once the material is shredded completely, the machine turns off automatically. 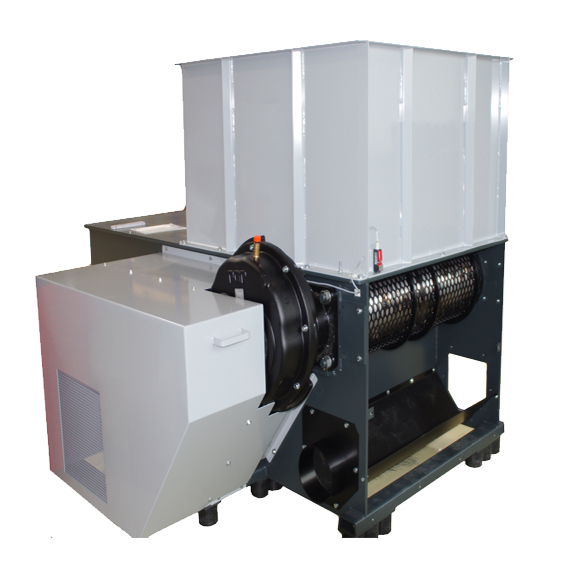 mütek grinders are fitted with a dust-tight control cabinet for the SPS control. The machines are CE-certified. 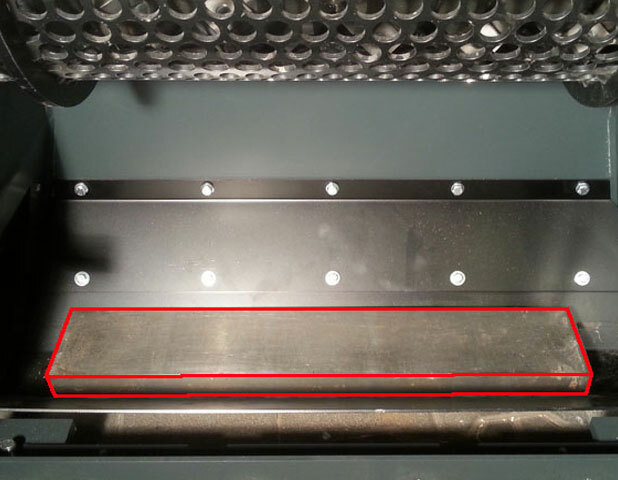 What size is the material that needs to be shredded in mm (length x width x height)? What throughput/performance per hour do you need in kg? Is the material that needs to be shredded very thin like e.g. paper or veneer? What size needs the shredded material to be? What screen size do you need?